In 2010 Syracuse had 30 wins. 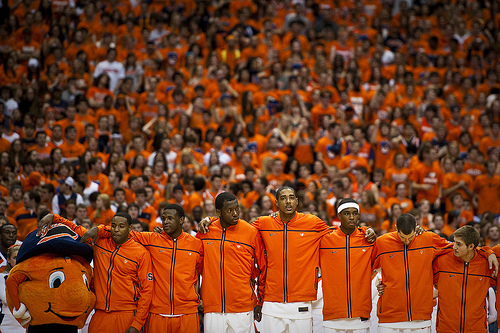 In 2011 the Orange had 27. One thing remains: postseason failure. Syracuse once again has a quality team to put on the floor, but NCAA Tournament collapses still hangs over its head. In 2010 the Orange lost to darling Butler Bulldogs in the Sweet Sixteen. Last season, Big East rival Marquette pulled off the upset. The Orange look solid in the backcourt and at the small forward position. Although Jardine can get trigger happy he did average almost six assists per game. Triche will be in his third year in the starting lineup and is a consistent No. 2; he knocked down 33 percent from deep. Joseph is one of the conference’s best finishers and Fair had a brilliant freshman campaign a season ago. The frontline could be an issue. Melo, a McDonald’s All-American, had a disappointing freshman season after being picked as the preseason Big East Freshman of the Year. What made things worse was Melo’s off court issues. His girlfriend has accused him of being physically violent. Moussa Keita has an edge to get the starting job, but he is very limited offensively. 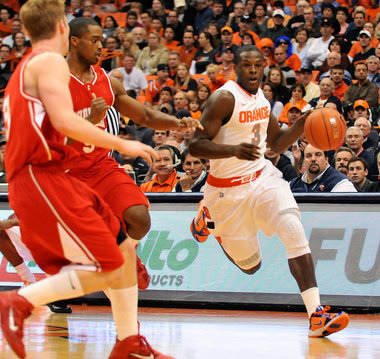 Syracuse will have to rely Christmas to contribute early. Christmas, another Philadelphia recruit for Jim Boeheim, is a tough defender, while being a difficult matchup for his opposition. Carter-Williams is the other highly-touted freshman, who possesses a smooth stroke. 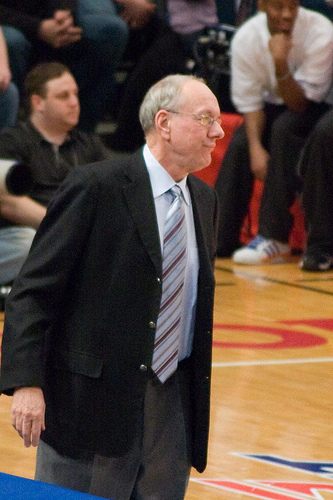 The Orange is moving to the ACC, so Boeheim will like to make the most of his last Big East season. Syracuse may not be the best team in the Big East, but it will definitely contend for the title. But for Cuse, its focus should be on success in March.